Vishwanathan, much known for his directorial ventures 'Doctor Patient' and 'Out of Syllabus' is gearing up for next project which will also mark the comeback of Ramya Krishnan back to the malayalam film industry. She will join the sets of the movie after completing her Telugu project Bahubali. The movie titled 'Appavum Veenjum' has also a long star cast including Prathap Pothen and Sunny Wayne in prominent roles. It is believed that Ramya has been given a conspicuous role as the one she had in Aryan and Anuragi. Ramya, much known for her acting brilliance has shared screen space with Mohanlal, Suresh Gopi and Mukesh. During the peak time of her career, Remya has paired up with Mohanlal in the movies Anuragi, Aham, Aaryan, and Onnaman. She has also shared screen with Suresh Gopi in Mahathma and with Mukesh in Manyanmaar. Her other movies in malayalam include Kakkakuyil, Nagaravadhu, Janmandharam, Bheekaran, Orkkappurathu and Neram Pularumbol. Ramya played a pivotal role in Shyamaprasad's 'Ore Kadal' along with Mammootty, Meera Jasmine and Narain. Her performance in the movie was widely appreciated by the audience and critics. She received the award for the best supporting actress for her brilliant act as Bela. Even though she received handful of offers from popular Malayalam directors, due to her busy schedule she turned down the projects. Oseppachan will compose songs for 'Appavum Veenjum' while the movie is to be produced under the banner MTM productions. Wagamon and Kuttikkanam are the major shooting locations. Venugopal will handle the camera. 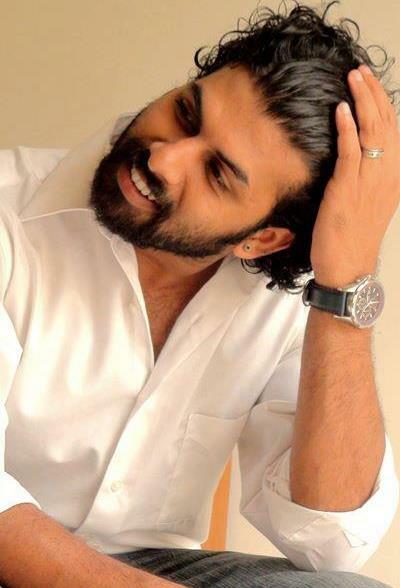 Meanwhile, young actor Sunny Wayne is blessed to be a part of quite a number of good projects in 2015. His upcoming movies include 'Saaradhi', Double Barrel', 'Kranthi', 'Aadu Oru Bheekarajeeviyanu', 'St Peter's Day' and 'Villain'. Prathap Pothen too has a bunch of movies including 'Mariyam Mukku', 'Chandrettan Evideya', Happy Birthday' and 'Once Upon There was a Kallan'.